Here is what you have been waiting for…where all those skills you have been practicing pay off. Advanced Projects gives you the chance to continue learning the art of woodworking without having to invest in your own studio. Shop Time provides our advanced students with open access to the CSW workshop on Saturdays and select other hours. Included in Shop Time is the use of all CSW tools and equipment as well as any assistance and direction you may need from our staff. Advanced Projects allows you to continue woodworking at your own pace, with high quality machines and a friendly work environment at your disposal. Project Planning and Design Approval—if you working on an original design or working from plans that need to be modified, please schedule an appointment during shop hours to discuss your project. Tuesdays 5-10 pm, January 8 – March 5. 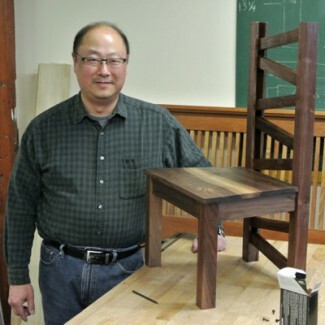 Graduates of the three course introductory series are encouraged to continue developing their woodworking skills by pursuing projects of their own choice/design.